Today is traditionally the day when everyone complains how boring the telecast was, how awful the fashions were and how out of touch the Academy of Motion Picture Arts and Sciences is. I've stopped watching the Oscar telecast, finding it much more efficient to read the list of awards the next day in 5 minutes or less. My take on the Oscars has always been that it's just a fancy marketing tool. A film that wins or loses is the same as film it was before the win or loss. Perception may change, but not the actual film. And as perceptions keep changing over time anyway, an win or a loss is just a blip in the how the world judges a film or the people who made it. While La Luna lost for best animated short, it will have the last laugh. Being paired with Brave this coming summer, it will be seen by more people than the winning film, The Fantastic Flying Books of Mr. Morris Lessmore. Rango's win will probably allow ILM to make another feature, but the film's influence will be slight for the immediate future. This year's releases are essentially done, so it will be next year at the earliest that any Rango qualities deemed attractive will be filtered through other studios' animated features. Personally, I found the film's tone wildly inconsistent and its references to other films distracting. I called the probable Rango win last November (though Tintin was the wild card and it didn't even get a nomination). 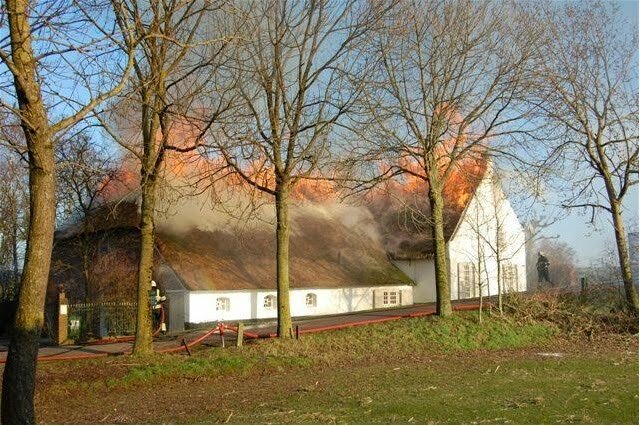 It wasn't difficult as the field was so weak last year. Admittedly, I got the nominations very wrong. However, the nominations were better than I expected. I'd much rather see drawn features like A Cat in Paris and Chico and Rita get nominations than The Winnie the Pooh Film. Let's hope that this year will be a better year. The DVD collection of UPA Jolly Frolics is now available for pre-order through both the TCM website as well as Movies Unlimited. The pre-release price is $34.99 U.S. For those of you ordering in Canada, Movies Unlimited offers the better deal in that they're charging $8 for postage, where TCM wants $20. The importance of these cartoons has probably been dulled by time, but when they were released, they shook the foundations of American animation and were widely influential around the world. Prior to UPA, the bulk of American animation was built on the Disney design model, where characters were drawn to be dimensional. 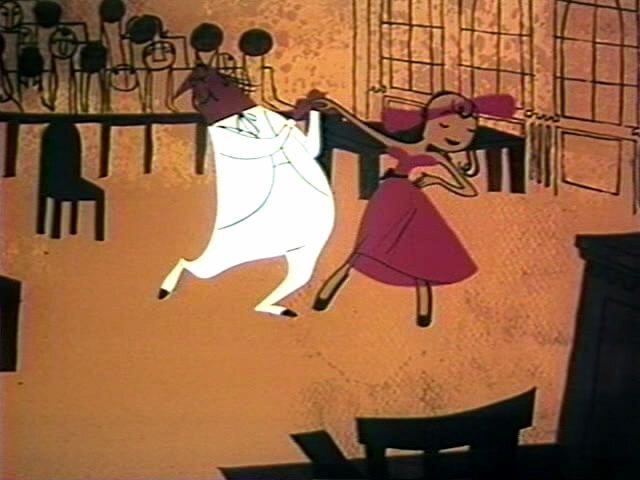 While American animation had progressed beyond the circle and hosepipe design approach, it was still based on rounded forms that could be turned in space and that had definite volume. There was also a discontinuity between characters who were painted in flat colours and backgrounds that were rendered to give the impression of light hitting rounded forms. Each American studio had a house style that was a variation on the above. UPA embraced a flatter graphical approach in their backgrounds, which made the overall design of their films more consistent. In addition, they varied their design approach in each cartoon. 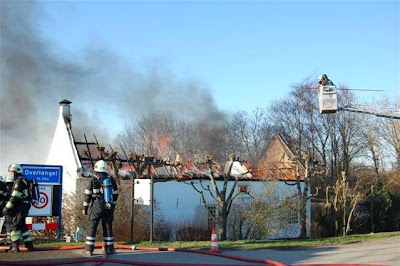 While the artists there shared a design sensibility, they worked to avoid developing a house style. Their films also differed in content. By the time UPA arrived on the theatrical cartoon scene in the late 1940s, American animation had hardened into formula. Slapstick conflict was the norm, whether it was Donald Duck vs. Chip and Dale, Bugs vs. Elmer, Tom vs. Jerry, Popeye vs. Bluto, Woody Woodpecker vs. Buzz Buzzard, or Mighty Mouse vs. Oil Can Harry. 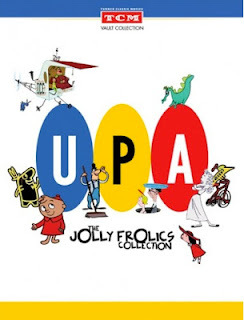 UPA returned to stories similar to Disney's Silly Symphonies of the 1930s, albeit with their own sense of design. The cartoons in this set include Gerald McBoing Boing (written by Dr. Seuss), The Unicorn in the Garden (based on the story by James Thurber), The Tell Tale Heart (based on the story by Edgar Allen Poe) and Madeline (based on the book by Ludwig Bemelmans). 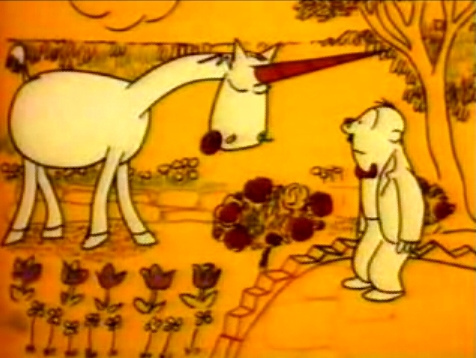 In the case of the Thurber and Bemelmans shorts, the films are designed based on the art of the authors. 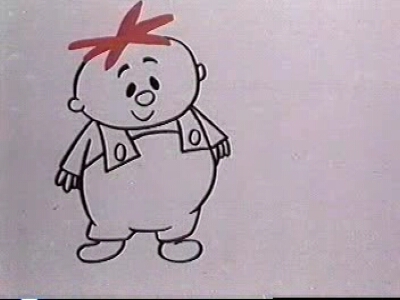 In addition, there are original cartoons directed by John Hubley (Rooty Toot Toot), Bobe Cannon (Christopher Crumpet) and Art Babbitt (The Family Circus). Hubley, of course, went on to create many independent films such as Moonbird after leaving UPA. Cannon is, in my opinion, an animator and director who deserves much more attention than he's been given. While he animated for Tex Avery and Chuck Jones, his films are very different in tone and subject matter than his animation. While there are still studios that are underrepresented on DVD such as Terrytoons and Mintz/Columbia, this is one of the most important DVD releases of the last several years. Based on the influence these films had on everything that came after them and the high quality of many of these cartoons, it's about time that they are available. 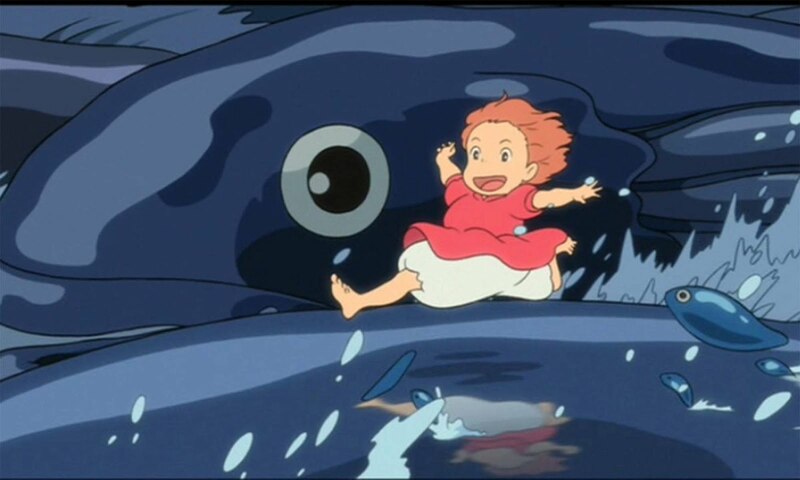 They fill a large hole in American animation history. 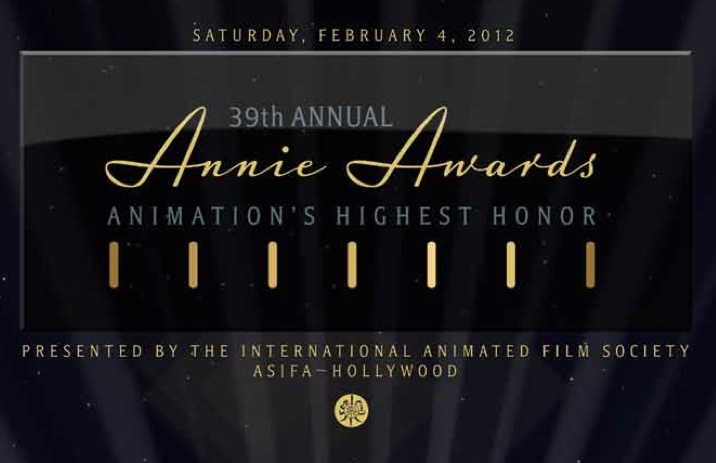 This year the Annie Awards are being streamed live, starting at 7 p.m. Pacific (10 p.m. Eastern) time on various websites, including Cartoon Brew, A. 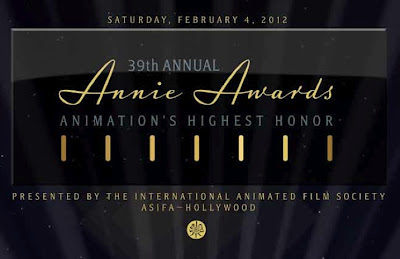 Film L.A, Canadian Animation Resources, Animazing and the Animation Guild. You can download a pdf of the program book, 68 pages long, here. The schedule for the Studio Ghibli retrospective at the TIFF Bell Lightbox in Toronto is now available here. Tickets can be ordered in advance on the same page. 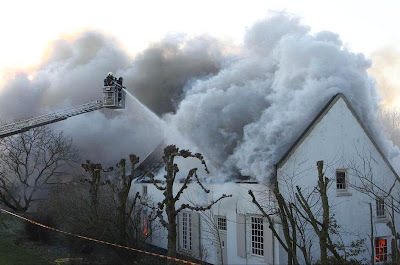 Børge and his wife are unhurt, but they have suffered a major loss of their possessions and artwork due to a fire. Their daughter Anna-Mieke, has set up a website where the pictures above come from and that has information on how to donate. There are other pictures of the house prior to the fire, including artwork by Børge and his wife, Joanika, who sculpts. 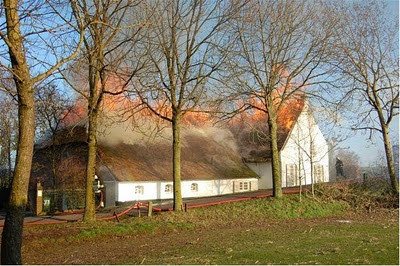 I've made a donation and hope that the Rings are able to put their lives back together after this horrible event.